Electrical shocks can be scary, and it’s important to know what the symptoms are. Electrical shocks can be mild and unconcerning, but they can also be life-threatening. However, electrical shocks are also very preventable, and in our last blog, our electrician in Cincinnati went over several of the most common causes of electrical shocks. Understanding the symptoms of electrical shock, as well as when to seek medical care, could be the difference between life and death. What are the symptoms of electrical shocks? Burns are the most common symptoms of electrical shocks, and they can range from severe to completely unnoticeable. Burns are typically the most severe where the electrical source came into contact with the skin. The most common points of contact are the hands, head and heels, and in children, the mouth or lips. Electrical shocks can also throw people, so it’s also important to look for broken bones and other internal injuries. The burn isn’t healing well. The burn has increased in drainage, soreness and redness. A pregnant woman has been shocked. It has been over five years since the person had a tetanus shot. 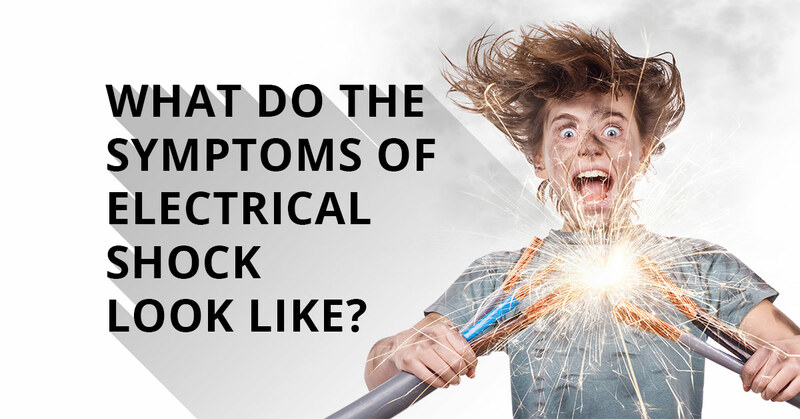 Now that you know what the symptoms of electrical shock are and when to seek treatment, it’s time to learn about what to do when an electrical shock occurs. Stay tuned for our next blog to learn more.